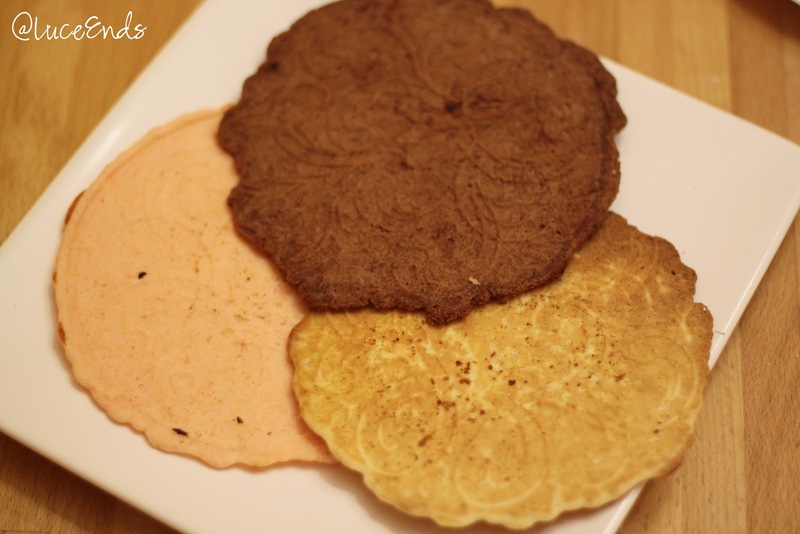 at luce ends: Krumkake or Pizzelle? 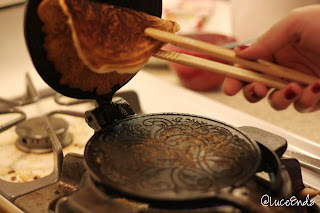 Several years ago Tom's mom and I found a used and somewhat rusty Krumkake iron in a thrift store. I bought it and Tom took it to work to get it all cleaned up for baking use. It ended up getting lost or taken from his desk. Sad! This year, his mom found another nicer one and brought it over for me to use. It was a little intimidating and ended up sitting in the kitchen for a few weeks before I decided to make it my cookie exchange selection. I didn't think I would care for the Krumkake recipe that I had (sour cream and lemon extract), so I searched and searched for something that was a little more appealing. 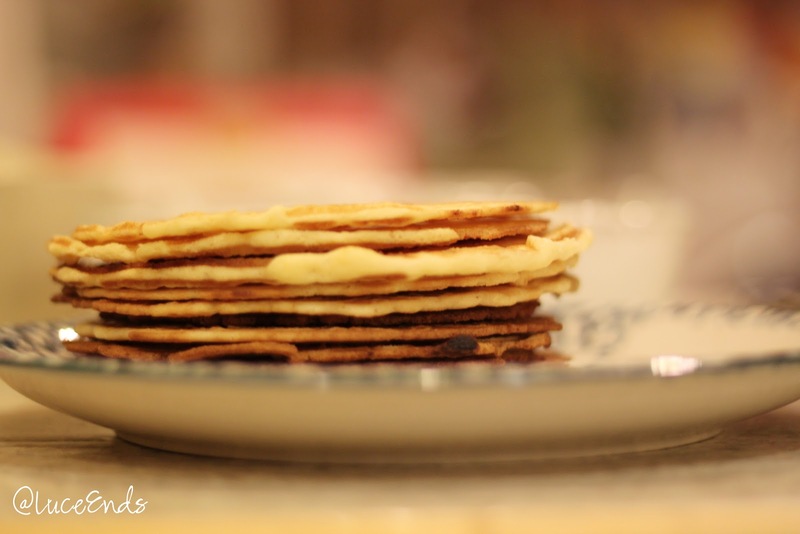 Krumkake is a Norwegian cookie of sorts. I discovered that a Pizzelle, an Italian cookie, is similar. 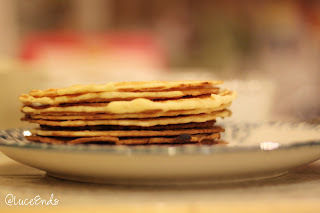 After searching for a while longer, I found a Pizzelle recipe that looked like something I would enjoy eating. In the end I modified the recipe and instructions a little. I made vanilla, chocolate, and raspberry cookies because I like the "Neapolitan" look. Mine were just flat and pretty, but you can buy a wooden spindle sort of tool that lets you make them into rolls or cones. (I tried my French rolling pin, but it was too big.) Here is what I came up with. 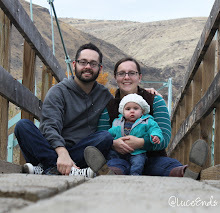 If you try it, let me know what you think! Mix flour and baking powder together, set aside. Mix in melted butter and extract. 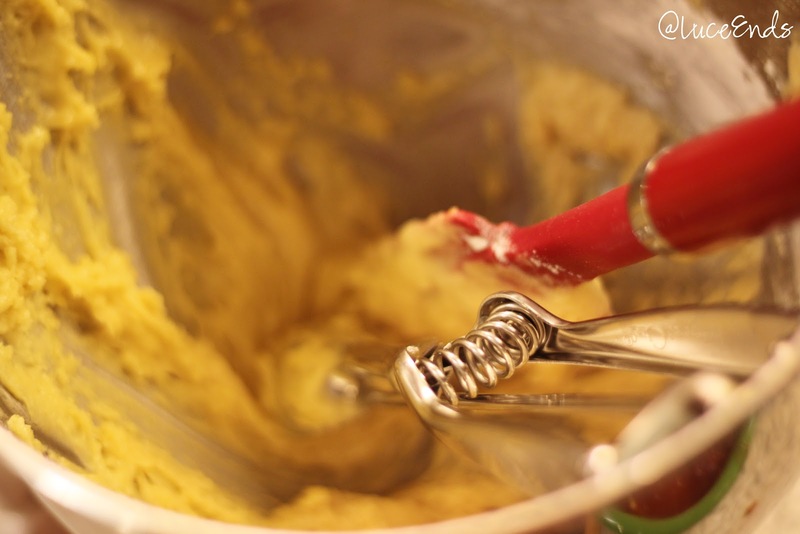 Remove bowl from mixer, gently stir in flour mixture with a spatula. 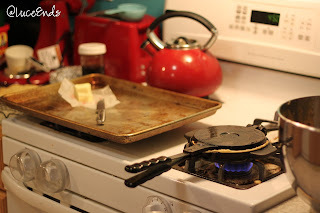 Heat your well oiled Krumkake iron over the stove on medium heat, both sides. Before each scoop of batter, place a sliver of salted butter in the iron. 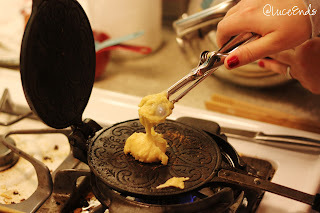 Close the iron for a few seconds, then add batter. Scoop 2 TBSP of batter into the middle of your iron. Close, and allow to rest for 25-30 seconds, flip and rest for a couple less seconds than the first side. Open and pull the cookie our with tongs (small bamboo tongs from Pampered Chef worked well for me.) If you move quickly you can lay the cookie on a cooling rack and make sure it is flat before it crisps up. Substitute 3 TBSP cocoa powder and 3 TBSP sugar for the vanilla extract. Substitute 4 TSP raspberry extract for the vanilla extract. Add a few drops of red food coloring if desired.